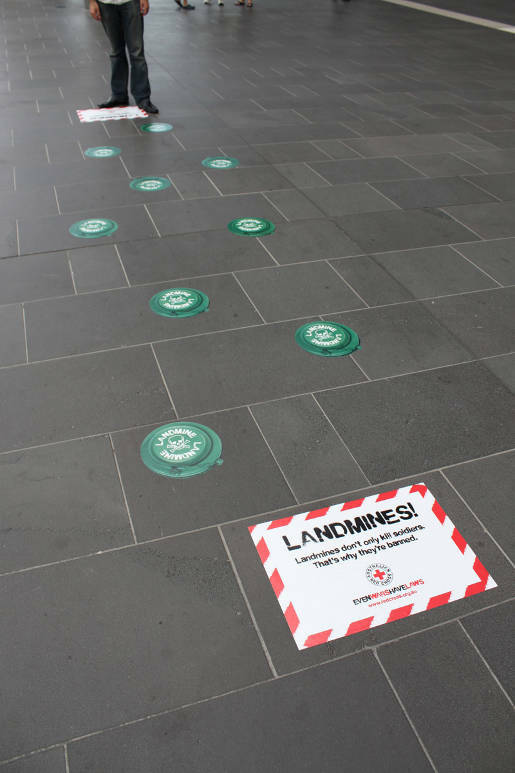 Red Cross Australia recently hit the news with a series of ambient installations designed to raise public awareness of the international laws relating to torture, landmines and child soldiers. The Geneva Conventions provide aim to limit suffering and protect the vulnerable during times of armed conflict. While they are not always followed, these laws of war continue to save lives: of civilians including children, humanitarian workers and journalists, as well as the captured and wounded. Commuters in Melbourne and Sydney were introduced to simulated landmines, bloody chairs and cutout children in school uniforms holding guns. 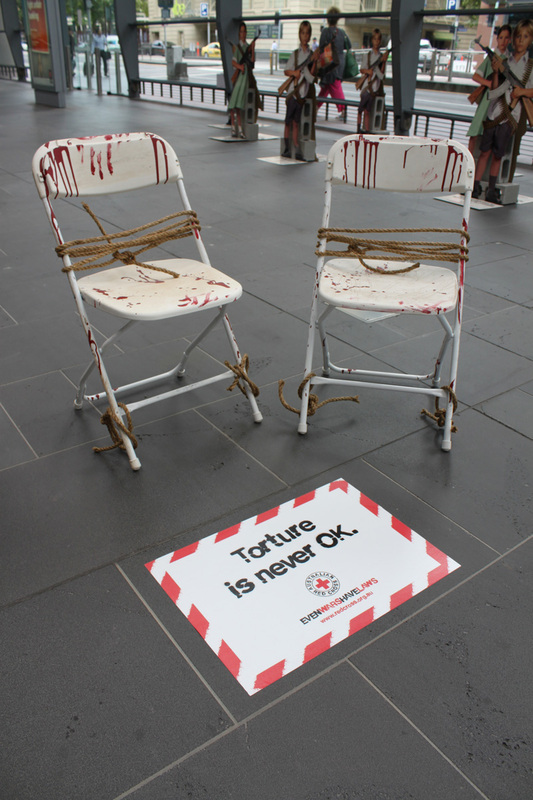 “Torture is never OK”. “Landmines don’t kill soldiers. That’s why they’re banned”. 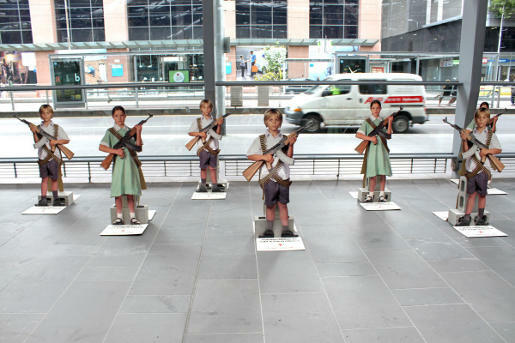 “Forcing children to fight in war is criminal”. “Even wars have laws”. The Red Cross Laws campaign was developed at The Fuel Agency, Australia, by executive creative director Rod Clausen, senior art director Ed Bechervaise, senior copywriters Simon Robins, Toby Blackler, account manager Mary Atley, designers Andre Ash, Rachel Corponi and Adam O’Neill.